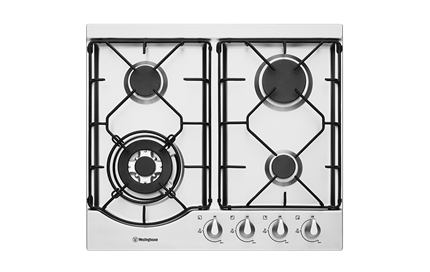 60cm stainless steel gas cooktop is rated 4.3 out of 5 by 18. 595W x 530D x 44H(mm) ? Rated 3 out of 5 by Faye from Stainless Steel The stainless steel is easily marked and I find it hard to polish without streaks appearing. I always used vinegar and paper towel but this method does not work on this stainless steel. Also the knobs attract alot of heat when hob is on. Beware of the heat, especially with children or the elderly. Rated 5 out of 5 by Oota from Cooking with gas !!! I have had my gas cooktop for just on 5 weeks and it is awesome. So much easier to cook with than electricity. 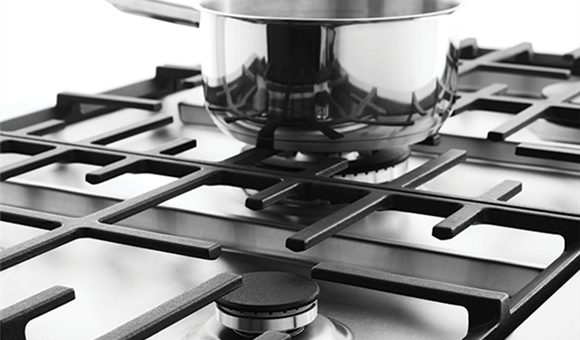 The stainless steel looks great in the kitchen and is easy to keep clean and shiny. All in all a fantastic choice. Rated 4 out of 5 by zucchero from Very functional layout of hot plates This has been installe since Christmas, easy to clean, well spaced burners. I am really happy with it. The only negative is that the silver on the knobs is wearing off in places. This has been previoulsy commented on and I am disappointed it has not been rectified. 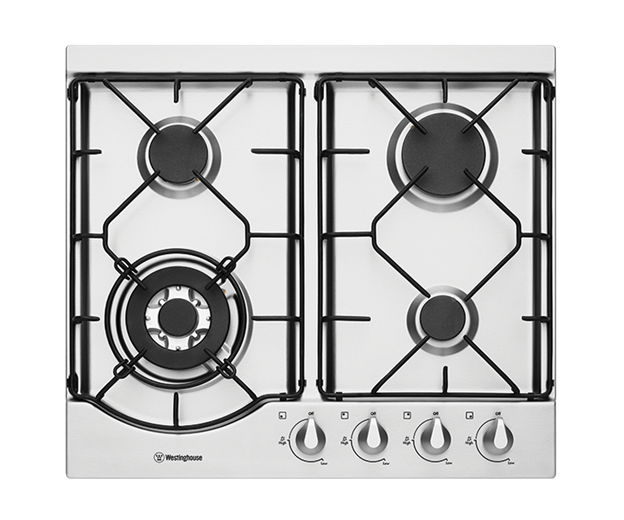 Rated 3 out of 5 by aussienan from Good features I am satisfied with the cook top WHG644SA. The layout is different from the one I had ie controls were on the side, this one is across the front so it's taken a while to manage the controls in a different position. I like having stainless steel products (Westinghouse cook top and oven) in my newly renovated kitchen. Rated 5 out of 5 by NDHG from Looks good, works great We bought this about 3 weeks ago. It looks very nice, and functions very well. The gas knobs are easy to use and ignite. You do need hold it down to keep the flame on but after 2 seconds stays on great. 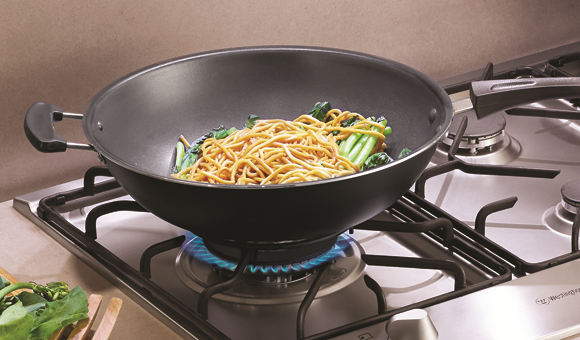 Good for fry pans, saucepans and woks. Rated 5 out of 5 by ronq591 from Great Unit I bought this for my daughter as a replacement for one damaged as a result of a major leak for the apartment above hers. She absolutely loves it and wants to know why I didn't get her something this good earlier!